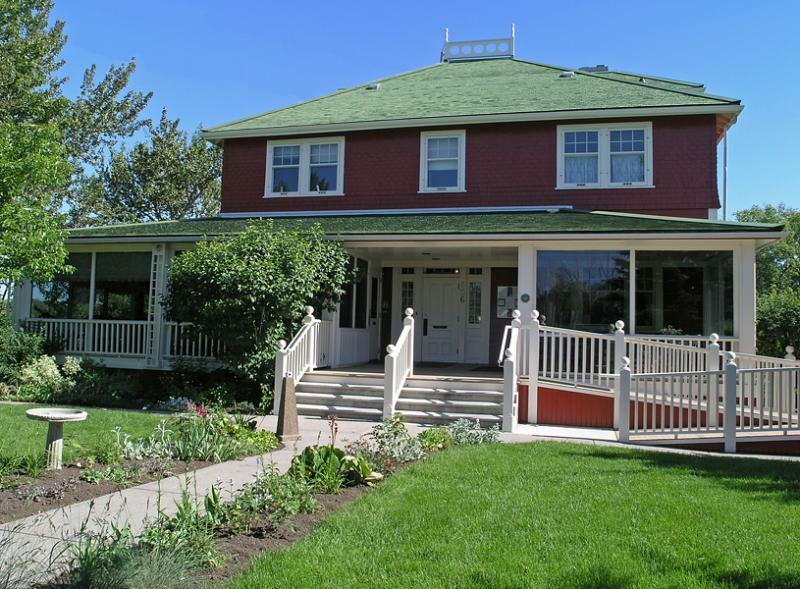 The Deane House was built in 1906 for the Superintendent of Fort Calgary, Captain Richard Deane. It was originally constructed near 9th Ave and 6th St SE, facing east towards the Barracks. Deane felt the previous superintendent's house was not good enough for his wife Martha. Although the budget for the project was $5,000, the total cost was $6,200. In 1914, The Grand Trunk Pacific Railway bought the land for use as a rail terminal and demolished all the fort buildings except the Deane House. The house was moved to the southeast corner from its original location. The house was then purchased by C. L. Jacques in 1929 and moved across the Elbow River, where it stands today. The Deane House Historic Site and Restaurant is open year round. It subsequently served time as the home of an artists' cooperative, a boarding house and a stationmaster's house. Today it's a teahouse and restaurant. All of the photographic images contained within this gallery are the copyright of Gary Hebert. I had lunch there one day last year, they let you look around and take pictures inside, nice little ghost stories too from the staff. Do you see a lady dressed in black in the window to the right of the front door> I do. Great old house. I love the railing on the roof. Can you go up there?